usually comes in the form of granules of different colors. Not to be mistaken with the choice and purchase of polypropylene polymer with the desired properties, it is important to pay attention to the markings. This article will review the features marking polypropylene used in our country and abroad, as well as guests and specifications used for its production, and the processing methods of the synthetic polymer. Polypropylene production is a rather complex process of polymerization using metal complex catalysts. Density polyethylene is made to similar technology. In the production process it is possible to vary the application properties of the polymer and, if necessary to combine them. This is achieved by changing the catalyst. During the copolymerization of ethylene and propylene using a low-pressure, get polypropylene in two forms: in the form of the copolymer in the form of homopolymer. Polypropylene is available in granules standard is used on the production, color, or on request. The bulk density of granules ranges from 0.4 g / cc to 0.5 g / cm. Species polypropylene used in the industry are many. Each species has its own marking. To avoid confusion in the choice will not be superfluous to understand the diversity of products offered. Generally, Russia is labeled polypropylene PP, but there are others. You may see the notation PP homopolymer, PP, PP HO, PP-X. Certain types of polypropylene also have their names. The block copolymer of ethylene and propylene can be referred to as PPR, PPH, PPM or PPU, depending on the content of polyethylene. 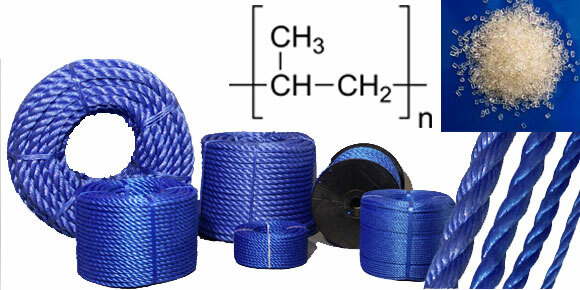 The block copolymer polypropylene labeled PP / Co or PPCP, a cross-linked polymer - PP-XMOD. Polypropylene, rubber modified, denoted EMPP. Letters marked EPP expanded polypropylene.